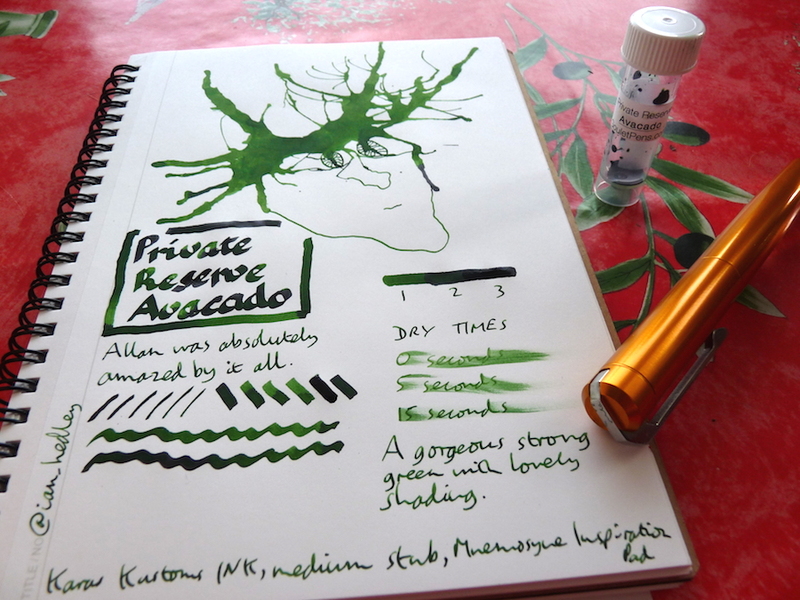 Private Reserve Avocado Ink Review – Pens! Paper! Pencils! A really lovely rich darkish green. I did finally learn how to spell Avocado properly, but not until I’d done all this. 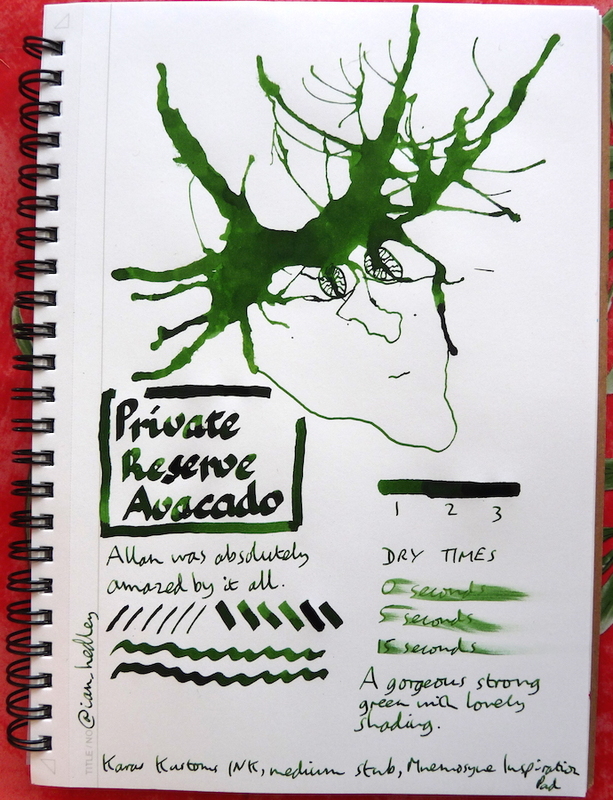 You can find some more reviews of Private Reserve Avocado, and also discover I’m not the only person who has difficulty spelling it, on Pennaquod.